All of the milkweeds are excellent butterfly nectar plants and also serve as the sole food source for Monarch caterpillars. This species is a handsome garden plant, with upright stems and rosy flowers. It can be a bit invasive as it spreads by underground rhizomes. 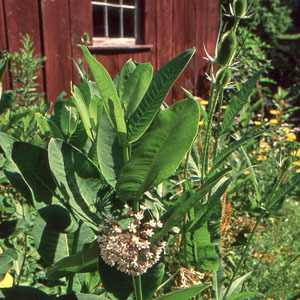 This is the milkweed most often seen in the eastern U.S.